Put those screens away - it will soon be Christmas, and that’s the time for family and friends to intermingle and have some fun with table-top games. Our Prize Pair consists of new SUPER SKI JUMP (age 8 to adult, rrp £19.99) and the perennial best-selling RAPIDOUGH game of modelling charades (also age 8 to adult, rrp £27.99). You’ll love these two great games from Drumond Park. SUPER SKI JUMP (rrp £19.99) is a real challenge for tweens and teens – and indeed the whole family! 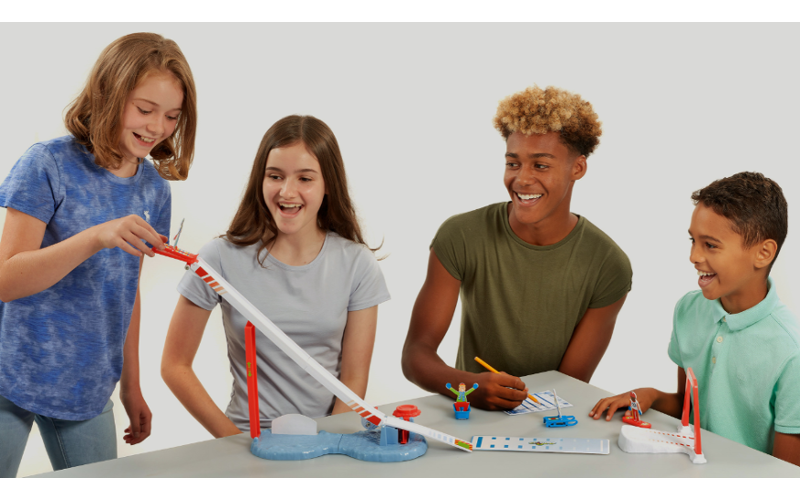 The aim of this curiously addictive new table-top game is to progress through various playing pieces as you send your character flying down the awesome ski jump ramp – trying to score the most points by doing tricks and nailing the perfect landing! You know what they say on the ski slopes…? Practice makes perfect! There are some nifty hints and tips included in the game’s instruction sheet, with additional scorecards available to download on the Drumond Park website. The second game on offer is RAPIDOUGH (rrp £24.99). In this long-term best-selling game of modelling charades, there are hundreds of simple, interesting everyday objects to sculpt – and there’s never a dull moment, as everyone gets stuck in and plays at once! If your team loses too often, imagine the hilarity of trying to sculpt something like a snail, a hand, a helicopter or a hedgehog - with a pea-sized piece of dough!